Social media is about listening to and engaging with stakeholders. Establishing a relationship with your followers is more important than increasing the number of fans or measuring the return on investment. It's about strengthening your online community, receiving feedback from those who matter most and creating more advocates for your brand. It's no surprise that Facebook has more than 1.7 billion monthly active users worldwide, but did you know Instagram has surpassed 500 million monthly active users? People love sharing photos. Twitter growth has stalled, but it still has more than 313 million monthly active users, while Snapchat continues to grow, with more than 150 million monthly active users. Now you know just how large some of these social networks are, how they're trending, and where people gather online. If you're a digital marketer or a social media professional, these numbers should help create your strategy of where to post and what type of audience you want to reach. This is important, but it's only part of your strategy. Remember, social media is all about engagement. Establish a relationship and engage your audience. Make them feel like a part of your community. How do you pay attention to the community and stay on top of each network? Use social media management tools. The best tools for getting involved with your digital communities are from Hootsuite. Hootsuite helps with posting, monitoring and scheduling social media content via a single dashboard view. Facebook, Twitter, LinkedIn and Instagram live together in side-by-side columns, making it easier to manage your social media efforts. 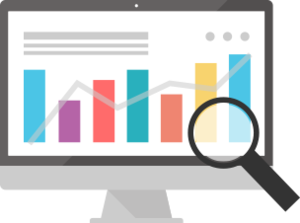 Hootsuite has great tools for creating analytics and reports that let the team know how each social network is performing. 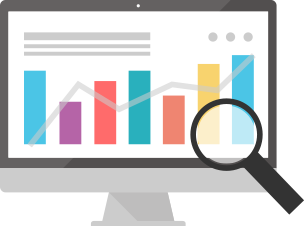 Monthly reports can show trends including follower counts, click-throughs, audience location, age, gender, sentiment and more. Hootsuite reports offer information on which posts worked well, which helps shape future strategy. Social media "mentions" and monitoring with Hootsuite Insights can help brands recognize how online communities feel about you -- in real time. Measuring ROI, or return on investment, from a traditional business environment doesn't always work with social media. It's difficult to get a precise measurement, and not everything is measurable. Some appropriate goals could be increasing traffic to your website, improving reach, higher engagement rates, better brand awareness and increasing sales. 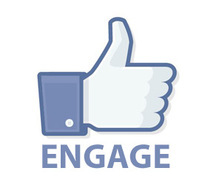 Encourage employees and customers to be active on social media and share lead-nurturing information. It will help grow your digital community and amplify your brand. Advocacy is authenticity, and it's a tool only they can provide. • Use hashtags for real-time interaction, brand awareness, campaigns and contests, and to follow live events. • Encourage your audience to share photos or video. • When you get feedback or questions, respond quickly. • Use current events and pop culture. Follow themes and trends to help your brand stay relevant.